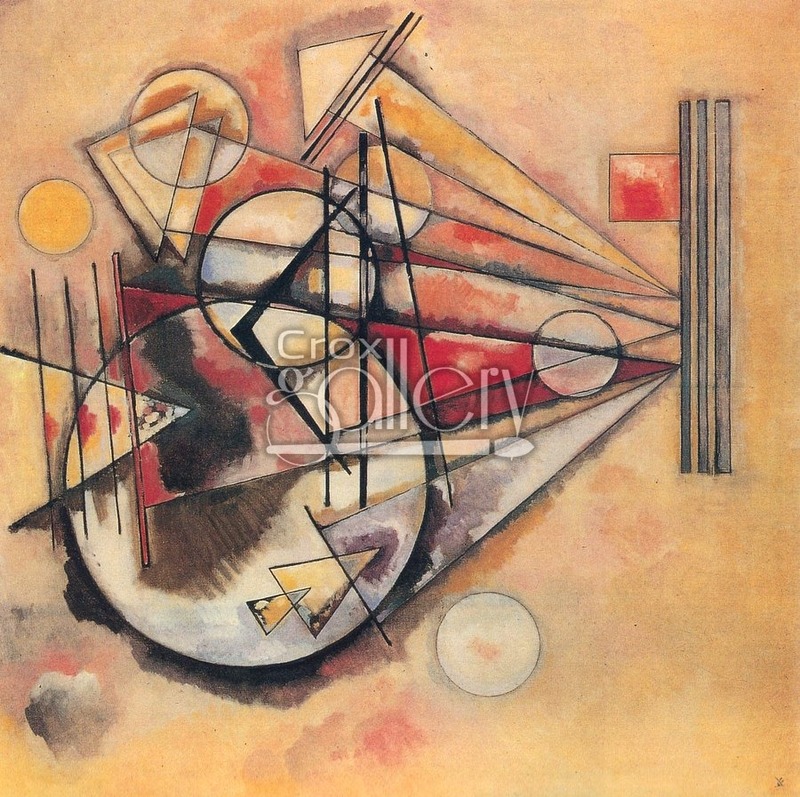 "On Points" by Kandinsky, in the National Museum of Modern Art. 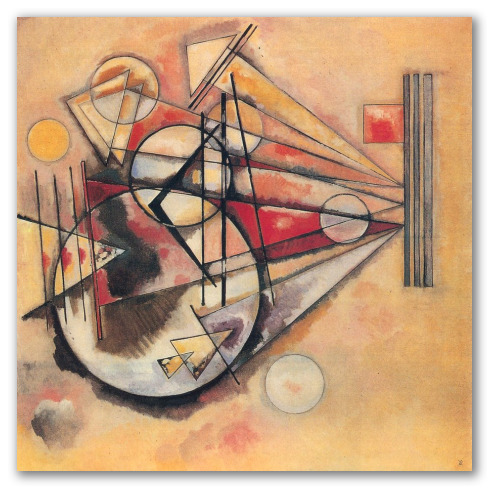 On Points was painted by Wassily Kandinsky, in 1928. The painting shows a triple horizontal base, on which several acute angles are situated, ending in circles. The colors are independent of the shapes, creating an effect of transparency which is a characteristic of Kandinsky’s compositions. The original painting is on display at the National Museum of Modern Art in Paris.